aAll sequences with spectral fat-suppression. gTwo consecutive stacks are necessary to cover the entire urinary tract. Abbreviations'. FOV, field of view; HASTE, half-Fourier acquisition single-shot turbo spin-echo; MR, magnetic resonance; NSA, number of signals averaged; RFOV, rectangular field of view; SENSE, sensitivity encoding; TEeff, effective echo time; TR, repetition time; TSE, turbo spin-echo; 2-D, two-dimensional; 3-D, three-dimensional. concentrations cause a paradoxical signal loss (contrast reversal) due to susceptibility effects (T2*-effects), which spoil the desired Tl-enhancing urographic properties of gadolinium. The inherent renal ability to concentrate gadolinium up to one-hundred fold cannot be compensated simply by halving the intravenous gadolinium dose. Further reduction to a tenth of the standard gadolinium dose may help avoid T2*-effects, but the small amount of endoluminal contrast material leads to attenuated or even insufficient enhancement of the urinary tract. 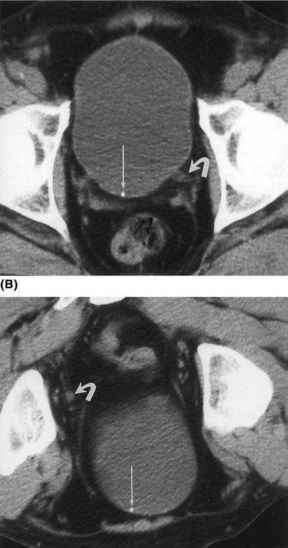 Moreover, if we intend to combine MR urography with conventional MRI of the kidneys or retroperitoneum in a single session, a standard gadolinium dose is usually necessary. 1. The water retention inside the urinary system induced by low-dose furose-mide increases the urine volume, which in turn leads to a mild distension of the pelvicalices and ureters. 2. The increase in endoluminal water load by furosemide causes the dilution of the subsequently excreted amount of gadolinium. Dilution of the urine prevents too high endoluminal gadolinium concentrations and, therefore, helps to avert the predominance of T2*-effects. 3. The increase in urine flow by furosemide leads to a rapid and uniform distribution of the excreted gadolinium agent throughout the entire urinary tract. 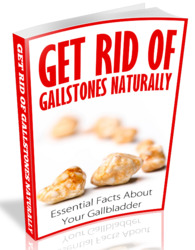 This mechanism also prevents the possibility of excessively high gadolinium concentrations developing inside the urine. Figure 3 Three synergetic effects of low-dose furosemide in combination with gadolinium for use in excretory MR urography. The effects ''dilution'' and ''distribution'' are especially important for the suppression of undesired T2*-phenomena inside the gadolinium-enhanced urine. Abbreviation: MR, magnetic resonance. a reduced dose of contrast agent without a diuretic (36,37). Especially the timing and the strength of hydration of the urinary system are better foreseeable with the use of low-dose furosemide than with infusion of saline solution. Because excretory MR urography is not a static examination and distribution of gadolinium-enhanced urine is a very important feature, the application of a compression device is not practical. In general, the intravenous injection of a total amount of 10 mg of furosemide is at least as simple, harmless, and inexpensive as an infusion of 500 to 1000 mL of physiologic saline solution. Furosemide dosages not exceeding 0.1 mg/kg-bw usually provide a sufficient imaging window of around 30 minutes and do not impede significantly the patient's cooperation during the examination (2,22). In children, even a very low dose of 0.05 mg/kg-bw of furosemide injected via a 1 mL syringe has proved sufficient for combination with gadolinium (4,23). Current experience with furosemide-enhanced excretory MR urography indicates that unless one ureter is completely obstructed, a sufficient gadolinium enhancement is normally attainable up to a serum creatinine level of 2 mg/dL (177 mmol/L) (2,4,21-23). This range, fortunately, already includes a large number of patients who are suited for undergoing excretory MR urography. Basically, the presence of ureterohydronephrosis is not a strict contraindication for the injection of low-dose furosemide. On the other hand, the use of furosemide is not indicated in patients presenting with an acute stone colic. Anyway, with increasing degree of obstruction, the chances for achieving homogeneous gadolinium distribution with the help of furosemide diminish. The effectiveness of furosemide-enhanced excretory MR urography is limited in marked hydronephrosis. The impaired distribution of contrast material may cause undesired layers of gadolinium-enhanced and unenhanced urine inside the dilated calices and renal pelvis. Moreover, undistributed amounts of gadolinium allow susceptibility artifacts (T2*-effects) to develop inside the urine. In such a situation, additional mechanical mixing of gadolinium and urine is helpful and can be achieved by rotating the patient on the magnetic table from supine to prone and back.